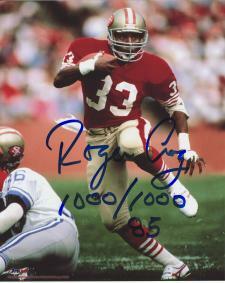 Roger Craig San Francisco 49ers Autographed 8x10 #323 with "1000/1000" | Sports Memorabilia! 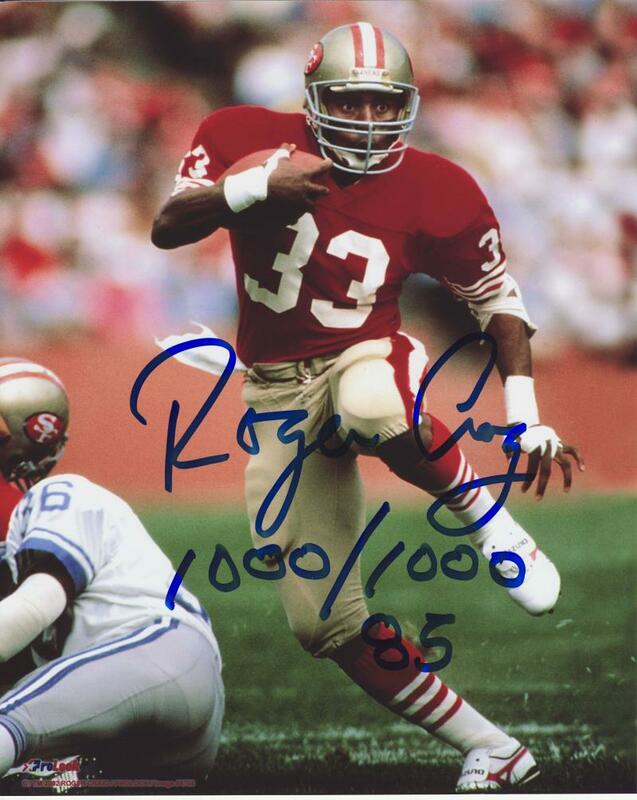 Roger Craig San Francisco 49ers Autographed 8x10 #323 with "1000/1000"
Roger Craig is high-stepping it this great action shot. His eyes are very intense. This 8x10 photograph is signed with a special inscription of "1000/1000" in blue. This pose is also available signed "3xSB Champ (#324).